"When someone loves you they care even if they are not there." The funeral program for the Rev. 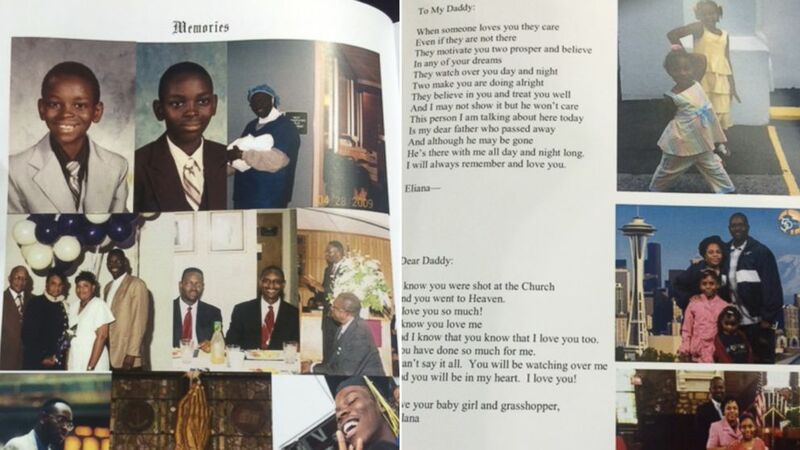 Clementa Pinckney includes moving letters from the two young daughters and wife he left behind, including gratitude that they spent the last day of his life with him. "To My Daddy," starts the letter from his daughter Eliana. "When someone loves you they care even if they are not there." 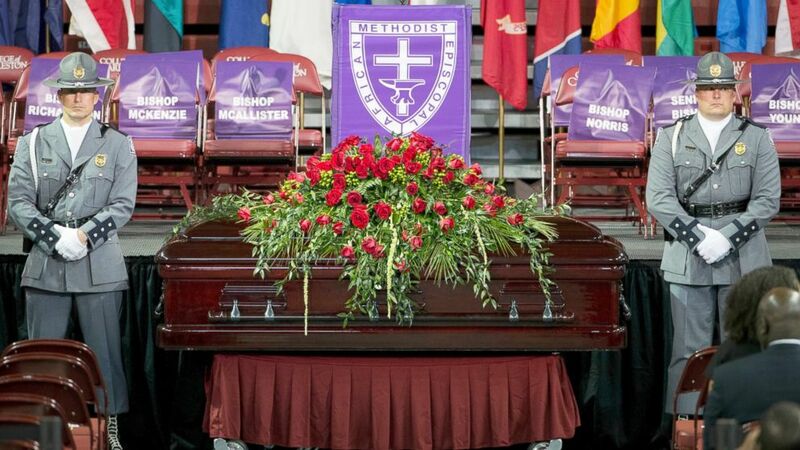 Thousands have tried to attend Pinckney's funeral in South Carolina at the College of Charleston's TD Arena, near the Emanuel African Methodist Episcopal Church where he was killed with eight church members June 17. President Obama was to deliver the eulogy today. Pinckney, 41, was pastor of Emanuel AME Church and a Democratic state senator. His daughter Eliana wrote in her funeral program letter, "They motivate you two [sic] prosper and believe in any of your dreams. They watch over you day and night two make you are doing alright. They believe in you and treat you well. And I may not show it but he won't care. This person I am talking about here today is my dear father who passed away." (ABC News) The program from Clementa C. Pinckney's funeral, June 26, 2015. "I will always remember and love you," Eliana ends her letter. Pinckney's wife, Jennifer, writes a dramatic account of her last day with her husband, sitting in the office of the church with daughter Malana. "When we woke up on Wednesday, June 17th, I never knew our lives would change so dramatically," Pinckney's wife wrote in the funeral program. "God realized this day was different from any other. There is no reason Malana and I should have traveled to Charleston with you on that day. But we wanted to spend quality time with you, in such a special way." (David Goldman/AP Photo) A South Carolina Highway Patrol honor guard stands next to the casket of Sen. Clementa Pinckney before his funeral service, June 26, 2015, in Charleston, S.C.
"Who knew when we sat in the office, the unthinkable would occur? But as I sit back and reflect, I am so grateful to God that He gave us the time to spend on that day," Jennifer Pinckney wrote. The letter from Pinckney's daughter Malana starts with, "Dear Daddy: I know you were shot at the Church and you went to Heaven. I love you so much!" She signs the letter: "Love your baby girl and grasshopper, Malana." 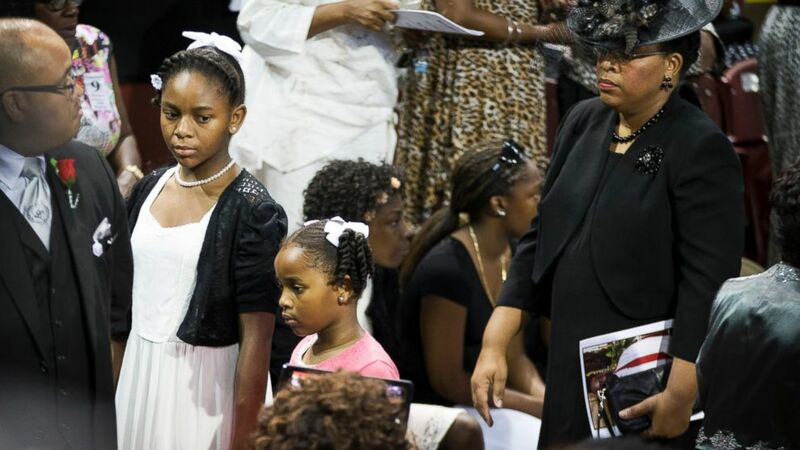 (David Goldman/AP Photo) Sen. Clementa Pinckney's wife Jennifer Pinckney, right, and daughters Eliana, left, and Malana walk in for his funeral service, June 26, 2015, in Charleston, S.C.